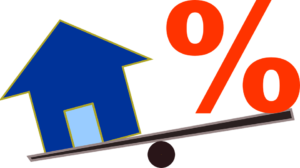 Are interest only refinance rates worth it? Interest only refinance rate products can be an attractive option for many borrowers because they allow flexibility and help to reduce monthly payment amounts. Savvy borrowers who take advantage of interest only mortgages can access extra capital and pay their loan’s principal strategically. Just as the name suggests, an interest only loan is a loan that only requires a borrower to make interest payments (rather than interest and principal payments). The principal payment-free period lasts for a predetermined timeframe, usually five to ten years. Interest only refinance mortgage rates tend to be lower than with fixed rate mortgages because the lender is receiving strictly interest each month. Many homeowners prefer refinancing with interest only loans if they need a reduced monthly mortgage obligations. With the additional money, borrowers can choose to allocate their finances toward paying the principal of their loan, or for different costs like unexpected bills or padding a savings account. Why should I choose an interest only loan? As we’ve covered, the most attractive feature of an interest only loan is a lower monthly payment. Because the borrower does not reduce their principal loan amount during the length of the interest only mortgage, in some cases may need to refinance the loan after five years. This can work to the advantage of a homeowner who plans to flip their home. Paying only interest can free up funds to improve the property then when the principal-free period of time has expired, a homeowner can sell the property. Many lenders allow borrowers with a good credit history to continue the loan without reapplying but they may be subject to a change in the interest rate at that time. Equity in the home may continue to grow and does not affect the original mortgage amount. Also remember, just because the loan says interest-only doesn’t mean you can’t pay money toward the principal. If your budget allows, putting money toward your principal has significant benefits – it will lower your interest only payment in the future since the amount owed will be less than before. A jumbo loan, one that exceeds conforming loan limits, may qualify for refinancing depending on the borrower’s credit score, home equity, comparable home values in the region and other factors. The jumbo loan dollar classification varies every year. Jumbo refinance interest only mortgages typically carry a slightly higher interest rate. They provide an option for homeowners who can afford a larger payment or who plan to pay back the loan amount after the refinance term. In some regions of the U.S., jumbo loans are necessary because of the higher cost of housing. Interest only loans are available for fixed-rate mortgages, adjustable rate mortgages and hybrid ARMs. It important to know that interest only refinance options can be riskier with adjustable rate mortgages because the interest is subject to increase. Borrowers may choose to refinance using an interest only loan if they have a single mortgage on the property and have sufficient equity to meet the lender’s requirements. Some homeowners choose to consolidate existing first and second mortgages into a single loan amount using the lower rate offered by an interest only option. As with other types of loans, current market conditions greatly influence the interest rate and availability of these types of loans. What are the risks of an interest only refinance? There are pros and cons to selecting an interest only refinance. First, qualifying for this type of loan may be more difficult than with conventional refinancing options. You’ll need a squeaky clean credit history in order to land one of these loans. Additionally, borrowers need to be responsible with how they use the savings opportunity associated with an interest only refinance. Many people spend extra money instead of investing it, which can lead to financial issues down the road. Foreclosure costs may be higher with homes financed through an interest only mortgage, too. How do you calculate interest only payments? To calculate the payment on an interest only loan, consider the following example. Let’s say your loan is $100,000 at a 5 percent interest rate. 5 percent of $100,000 is $5,000. This is the figure you will owe each year, or $416.67 per month. The equation is fairly straightforward because you don’t need to take into consideration principal for the time being. What are the steps for securing an interest only loan? Many lenders offer interest only loans, but they can be more difficult to secure. Homeowners who purchased a home using an interest only loan also have the option to refinance their mortgage with a conventional fixed rate or variable rate loan. Most lenders do not impose prepayment penalties if the loan is refinanced before the end of the term. Interest only loans may be subject to automatic renewal at the current interest rate without additional fees, closing costs or documentation. Weigh all refinance options before settling on an interest only refinance. Just because the payments are lower for the first five or ten years doesn’t mean it is the cheapest option for a refinance. Use a mortgage calculate to validate your math.